24 year old MC, Amplify Dot (or ‘Dot’ to her friends), is in possession of one of the most exciting voices in the genre, spitting witty rhymes and creating a confident narrative about the world around her. Her influences certainly stretch far and wide, and as a result her sound has come to fully represent the sounds of the city and its diverse music cultures. Amplify Dot is named as a playful take on her initials, (Ashley Charles) she comments that : My mates used to call me 'A dot C', which then got shortened to A. 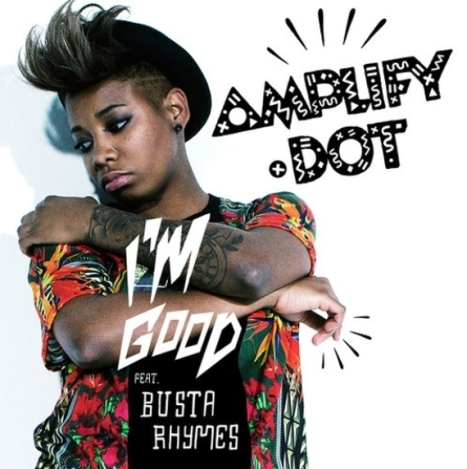 Dot which then got Amplified. Not to mention that one of my middle names is Dorothy, like from the Wizard Of Oz… but my shoes aren’t as cool as hers!”. 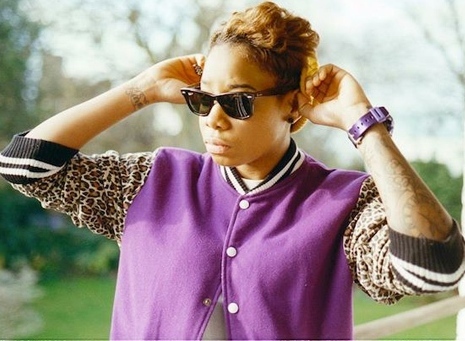 She has been making waves as an MC over the past few years, attracting the attention of her male peers and iconic female rappers (including Missy Elliott - but that’s another story)and holds the accolade of being one of the few British female MCs since Miss Dynamite to get a major record deal. It’s not hard to see why. It’s safe to say that Amplify Dot was talented from early on. She caught the rapping bug from across the Atlantic inspired by the likes of Left-Eye and Salt n Pepa. Even as early as nine years old, she was performing anywhere that would record her – even if it was just in the house. She recalls, "I will never forget begging my mum to let me rap on our answering machine. She gave in eventually. I'm pretty sure people would phone our house just to hear it!". She describes a defining moment in her life as an aspiring rapper at the age of 14, when she made her way through a sold-out crowd in Brixton Academy to jump on stage with Missy Elliot. Following the rap queen calling out for a UK rapper, a young A Dot scrambled from eight rows back, won a rap battle on stage, and was acclaimed by the queen herself, who commented that "One day you're going to be big!" That day is finally here, as she also caught the attention of Tim Westwood in the crowd, who invited her back on the show 10 years later, as a force to be reckoned with. Not content with props from just Missy Elliot, she repeated the action a few years later after she graced Pharrell’s stage in a similar fashion. Her dedication to her female peers has always been important, as Dot co-founded grime crew ‘367’, in her formative days alongside fellow MCs Lioness and Lady Leshurr. The name was a tongue-in-cheek reference to rankings given by a grime blog at the time naming then as ‘the best female rappers’. The girls have continued to collaborate appearing on the ‘Born Ready’ mixtape, singles such as the infamous ‘Game Over Female Takeover’ remix of Tinchy Stryder’s ‘Game Over’, and most recently alongside pop darlings Stooshe and fellow female MCs on a remix of ‘F**k Me’ which received critical acclaim. Her new mixtape ‘Spare Parts’ is a mix of upbeat and thoughtful tracks that illustrate her sense of humour and mischief as she takes in the world around her. From pop-inflections on the catchy ‘Get Down’, to the stark observations in the rap-focused ‘Three Little Pigs’ thick with gluttonous bass drops, or the house-infused glittery club track ‘Mars’, the mixtape is a rich offering that incorporates all the most thrilling elements of the current urban climate. As she implores listeners to ‘Say my name’ on the pulsating ‘Origami’, we are invited into her world-view and she makes sure that soon enough, we all will be. Grime has given Amplify Dot the ability to pack a powerful lyrical punch, punctuated with moments of arch perception and even hilarity. Her playfulness teamed with bouts of fiery attitude is a celebration of female power and identity, and as a result her output is self-referential without being a contrived introspection. The self confessed tomboy cites her individual delivery and look as enabling her to be a force to be reckoned with. She speaks her mind and makes valid observations where most don't. Time to get Amplified. Make sure you listen in.